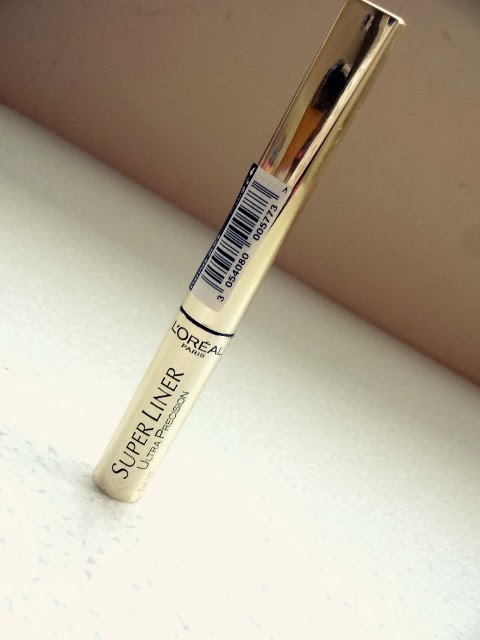 Today I'm going to be reviewing this liquid eyeliner from L'oreal, the Superliner. About a year ago I was obsessed with liquid eyeliner and would wear big flicks everyday, but gradually I got more into eyeshadow and started to wear liquid liner less and less. Eventually I was only wearing it on nights out, but I was using my gel eyeliner from Bobbi Brown on an angled liner brush because of it's staying power. Recently, I started to think about liquid liner again and one day I decided to wear it, only to look in my collection and realise I didn't have one. Not even one liquid liner, I have no idea where it has gone because I used to wear it all the time and had a few. I'm guessing I somehow got rid of them when I changed my make up storage. They probably would have been dry and crusty by now anyway ha! So off I went on the search for a new liquid liner. 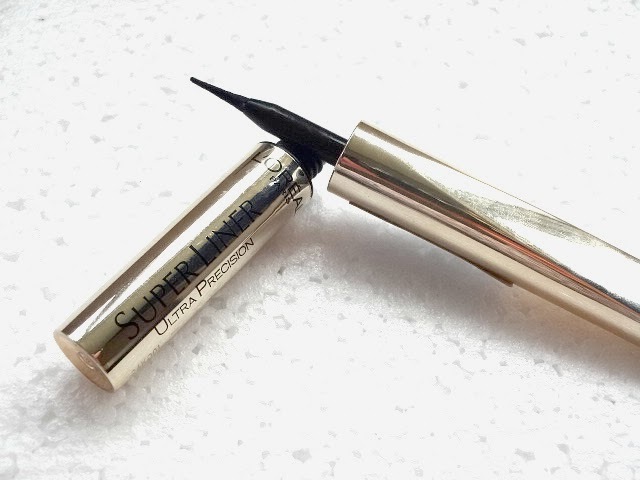 I'd seen a few reviews of the Superliner so did a bit more research into it and decided this was the one I wanted to try, so I purchased it from Superdrug when I made a huge order (haul video on YouTube coming up!). Despite having still not uploaded my haul video, I did actually receive my order a good couple of weeks ago and since then, I have been using this liner almost every day! This is honestly the easiest liquid liner to apply that I've ever tried, which is out of quite a few! It just seems so glide on so easily. I think this is down to a combination of the handle and the nib. As you can see the handle is quite long which makes it super easy to hold and apply. As for the nib, it has got the perfect amount of flexibility in it. I always find that liquid liners will have either completely stiff nibs or ridiculously flimsy brushes which flick about all over the place. This is a plasticy/rubbery nib which is fairly stiff but has enough movement in it to mould to your eye as you apply it. 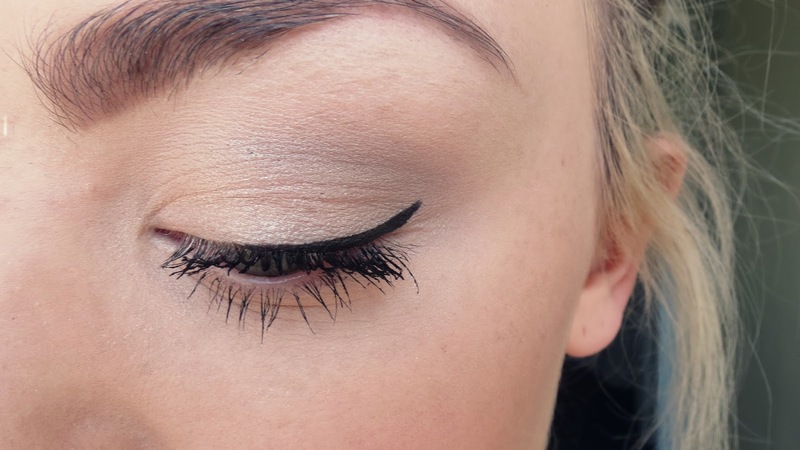 This makes for the easiest, quickest liner application ever. Perfect for those early mornings! As for the formula, I would say it's your typical liquid liner consistency but not one of those that's too runny. It's super opaque in one swipe and doesn't look too thin or sheer as some cheaper liners can. It doesn't go dry and crumble off into my eyes throughout the day, even when I've been wearing it for around 10 hours. 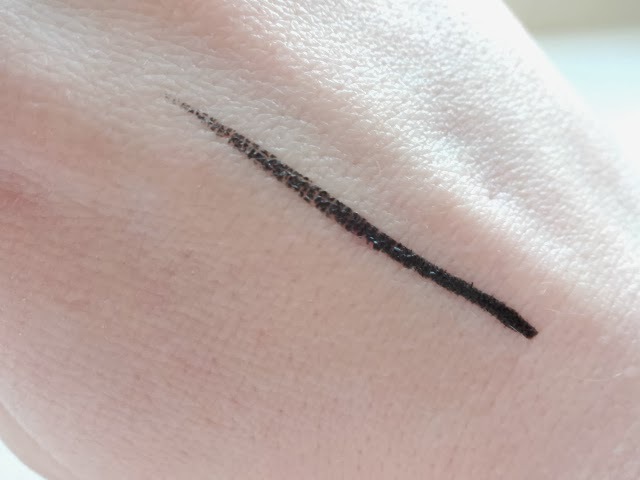 My only complaint with this liner is that whilst the super long handle tricks your mind otherwise, the pot of liquid liner is actually rather small. Never the less, the product is good and the design makes for super easy application, even for those less equipped with liner skills like me.. All in all, this is probably the best liquid liner I've used and I'm really blown away at how easy it is to apply! 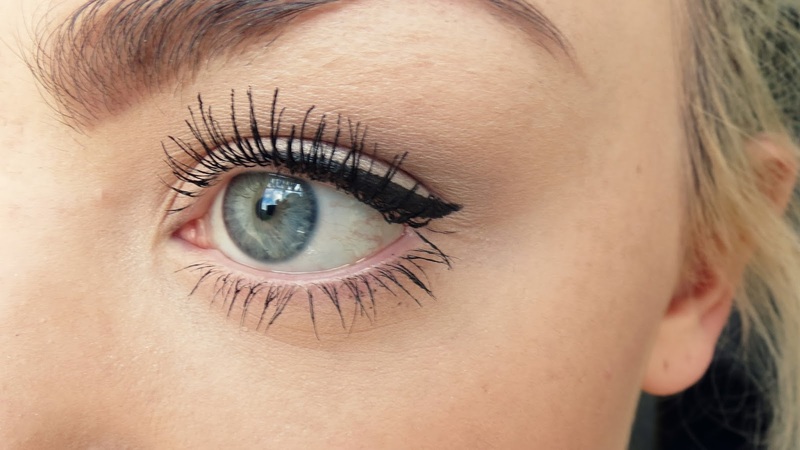 I can get a tiny thin line to make my lashes look fuller or create a full on cat eye. If you have zilch liquid liner skills like me, definitely give this ago as I was amazed at how easy it applies! You can purchase this in most beauty stores but I got mine in Superdrug for £6.49. I really struggle with getting liquid liner right so I'll definitely try this one ! Thanks for the helpful review. I love this liner, it's so brilliant! I actually love L'oreal.. The first eyeliner I got many years ago was L'oreal's. I will defo give this one a go. Thank you lovely (and I adore your eyelashes, pretty you). I've been looking for a new liquid eyeliner, might have to give this a go. Ive used the black Lacquer and that was great.